Robert Neill was a farmer of Ballymore. He was born in 1813 and lived near Tandragee, County Armagh, Northern Ireland. He married Mary Mains in 1830 and they had four, possibly five children. Robert died on 28 June 1876 and Mary had died prior to 1864 in which year deaths were formally registered. Jeremiah Neill reported Robert's death. Mary b. 1838 at Tandragee, County Armagh, N Ireland. Thomas b. 1840 at Tandragee, County Armagh, N Ireland. Emigrated to South Australia in 1858 and onward to New Zealand in 1861. Very little is known about Robert and Mary. It's interesting to note that on son Thomas Neill's death certificate, his mother is named as Margaret but that information would have been provided after his death by someone else. However, strong justification for this is that Thomas Neill's only daughter was named Margaret (after his Mother possibly???). 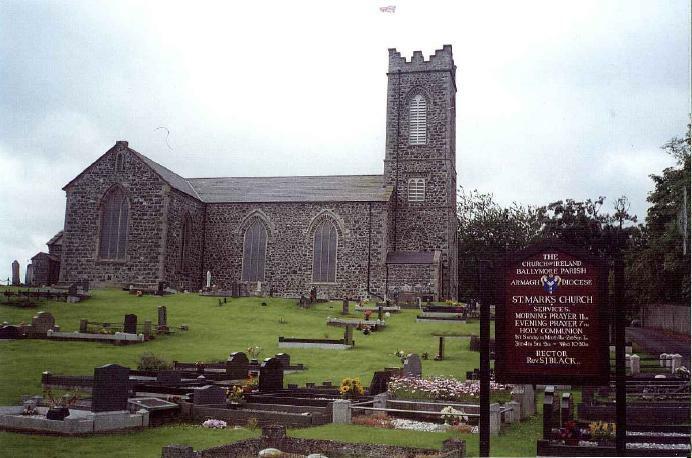 Neill is a common name in Tandragee with several Neill headstones in the St Marks Church Cemetary and on the town War Memorial. There is also mention of the Neill name as leasing or owning land in the area in the Library at Tandragee.